Home » Blog » Kajabi Review 2019: Is It Really That Good? Kajabi is one of the most popular online course platforms in the market today and you probably would have heard of it. It is pretty different from a typical online course platform in terms of what it has to offer and how it is priced. So, a lot of people find it really difficult to decide whether Kajabi is the right platform for building their online courses / membership site or not. 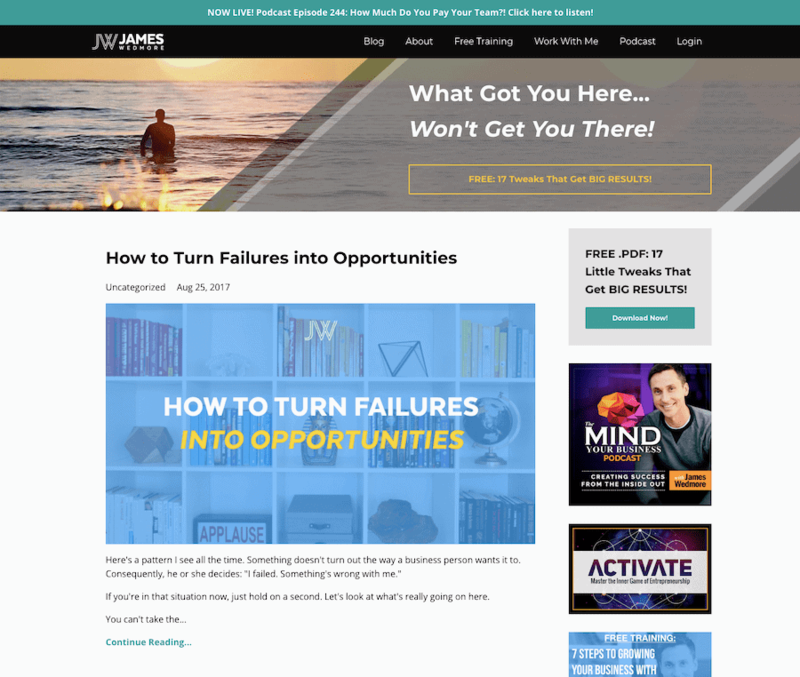 I have been helping clients launch their online courses on Kajabi since 2016 and have been using it for my own business since early 2018. So, I thought I will create this comprehensive Kajabi review guide and share my experience of using the software. In this review of Kajabi, I will cover every aspect of the platform in detail along with what I like and what I don’t like about it. Kajabi is one of the most feature-rich online course platforms out there that allows you to create, market and sell online courses. 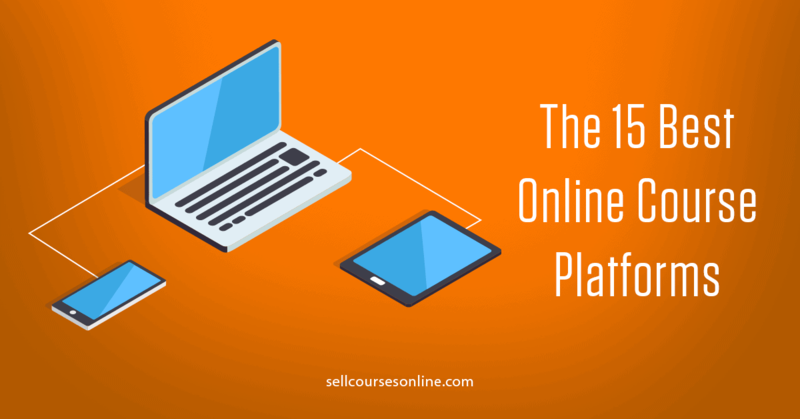 It is probably the closest you can get to finding an all-in-one platform to run your entire online course or membership site business. What I like about Kajabi? The course area/player is very well designed and gives a premium feel. Offers engagement tools like community forum, learning paths, automations etc. Allows you to create an entire website as well as run a blog. Powerful Pipeline Builder that lets you create all types of sales funnels. What I don't like about Kajabi? Doesn't allow you to create certificates natively. Doesn't support advanced quiz elements like questions banks, randomization etc. The starting price is steep. Now, let's look deeper to find what Kajabi has to offer and whether it is the right solution for you or not. Kajabi is an all-in-one platform for building and running your online course or membership site business. So, it allows you to host your online courses and deliver them to your students in a professional manner. Moreover, you can build a fully-fledged website, run a blog, create marketing funnels, and even automate your email marketing. On the other hand, if you were to use a "typical" online course platform, you’ll need tools like WordPress to run your blog, ClickFunnels to create funnels and landing pages, ConvertKit to manage your email marketing etc. So, the idea behind Kajabi is to let you build and run your entire online course business from a single platform, so that you don't need to hack together or learn to use several different plugins or services. Create an engaging online course with videos, pdf, quizzes etc. Deliver you course content professionally through the native course player. Create a community forum for your students/members. Build a beautiful website including a blog for your brand. Charge a one-time fee, a recurring subscription or even a payment plan. Build checkout pages and add upsells and order bumps. Create and manage your affiliate program. Build all types of sales funnels including lead magnet funnels, webinar funnels, product launch funnels etc. Email marketing automation and CRM tools. Finally, it's their team that takes care of all the techy stuff including security, maintenance and updates on the platform which allows you to focus on your core job of creating and selling online courses. Another important thing you should know about Kajabi is that it's not a marketplace like Udemy and so, you'll have complete control over course pricing, your policies as well as student data. We’ll take a closer look at all the features and evaluate them in the subsequent chapters in this Kajabi review guide. But if you would like to get a quick overview of the platform, you should watch this demo video put together by the Kajabi team. Creating a great learning experience is the primary job of an online course platform. And in this section, we’ll see how Kajabi performs when it comes to course delivery and student engagement. Let’s first start with the process of creating a course in Kajabi. 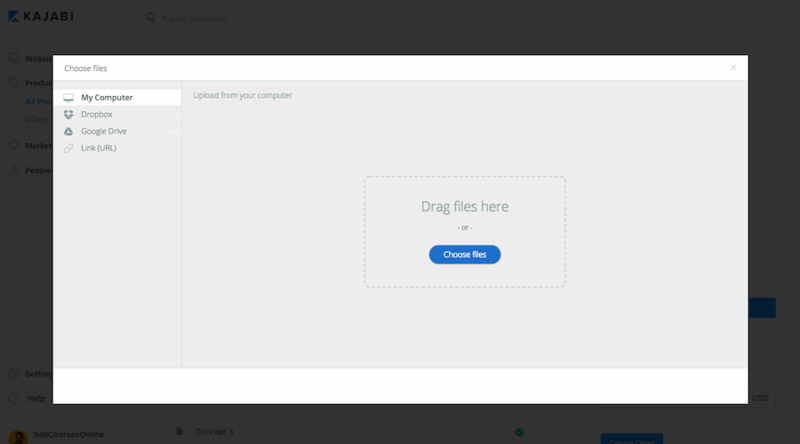 Kajabi makes it really easy to upload your content and structure them. It has something called Product Blueprints which are nothing but pre-made structure for various kinds of digital products. The blueprints make it really easy to structure your online course and allows you to get started quickly. Once you select a Product Blueprint, Kajabi will create a sample structure for your course with Categories and Posts added to it by default. Basically, modules and lessons in Kajabi are called Categories and Posts respectively. While Categories are just for organization purposes, Posts is where the actual content reside. If you want to reorder your Categories or Posts, you can do that simply by dragging and dropping at your preferred location. You can also add another level (Subcategories) which makes the course structure pretty flexible. You can add multiple types of content to your Posts by editing them. You can add videos, text, quizzes, surveys, pdf downloads etc. to your Posts. Kajabi offers unlimited Wistia hosting for videos as part of all their plans and you can use them anywhere you want including on your blog and on the landing pages. Plus you can see the stats for your videos in your dashboard and you can easily analyze how students engage with your videos and where they drop etc. Finally, the process of uploading content is really straightforward. You can upload content either from your system or from Dropbox/Google Drive. If you have a lot of videos, you can also bulk upload them into your course and Kajabi will automatically turn them into Posts. Overall, the process of course creation and uploading content in Kajabi is easy and intuitive and you won't need any technical skills or any third party solutions for video hosting etc. 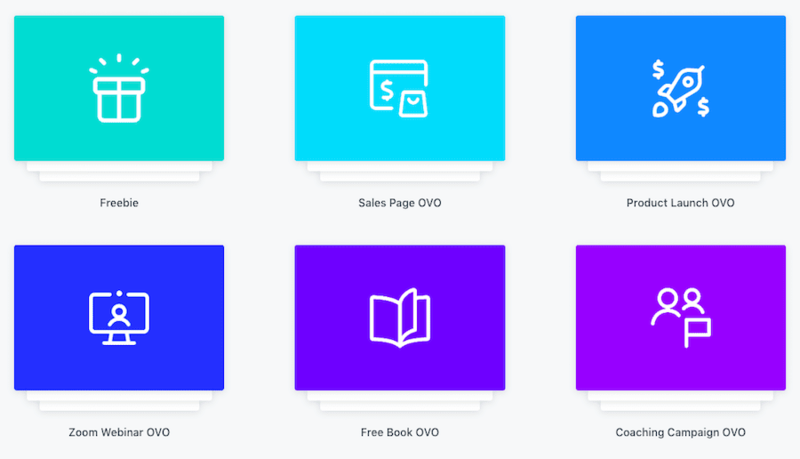 While most online course platforms offer you a singular theme for the course area, Kajabi allows you to choose from a set of 10+ Product themes. The best part is that you can choose different themes for different products. So, whether you teach an evergreen course, run a membership site, or do online coaching, you can find and select a theme that meets your requirements. The themes allow you to get started quickly and you can further customize them as you want, which allow your courses to have a unique touch and stand out from the crowd. I personally like and use the Premier theme which for me is the best designed course area theme of all the online course platforms that I have used. It is clean and elegant, it lets you add and display thumbnails for individual lessons and you can also add your branding to the course player which gives a premium touch to the look and feel of your online courses. The individual lesson pages for the Premier Theme is also well designed. Your video will show at the top and next to it on the right is the course navigation area. You can add additional content like text and images in the content area below the video. You can also add PDF downloads to your lesson and show it either in the main content area or in the sidebar. 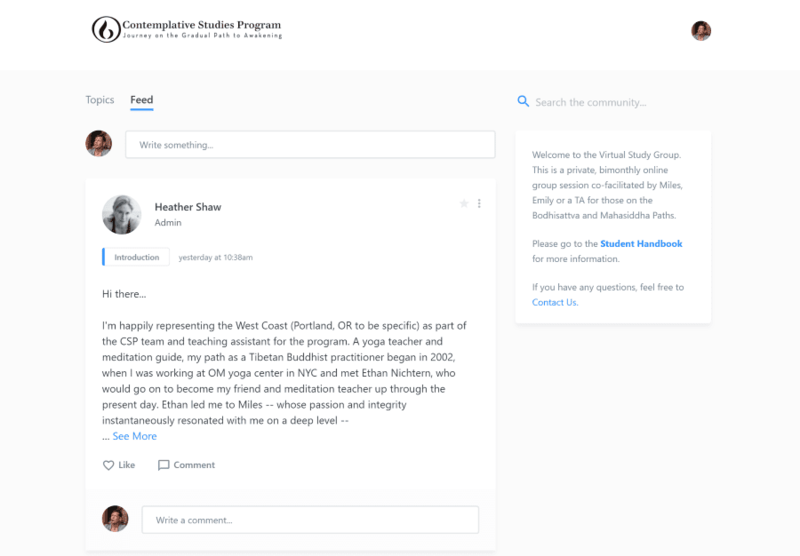 Finally, you can display a comment area at the bottom where your users can discuss the lesson with other students and the instructor. Overall, Kajabi's course themes is very well designed both from an aesthetics as well as a user experience point of view and the best part is that you can further customize them without any coding. No other course platform gives you as much flexibility as Kajabi when it comes to course area design and this is one of the things that I like the most about the platform. To improve your member engagement and add even more value to your course, you can use what is called Kajabi Assessments. With Assessments, you can create and add quizzes to your online course. The quizzes can include multiple choice questions, multiple-option questions as well as paragraph style questions etc. and the students can be graded automatically based on their answers. You even have the ability to include a File Upload option which is really handy if you want your students to submit an assignment. Kajabi Assessments is pretty flexible and can also be used to survey your students and gather their feedback during the course. The best part about it though is that you can add quizzes even to your landing pages and use them for lead generation and segmentation purposes. However, not everything is great about Kajabi Assessments and there are a few things that it needs to improve. Firstly, you can't import questions directly from an external file. 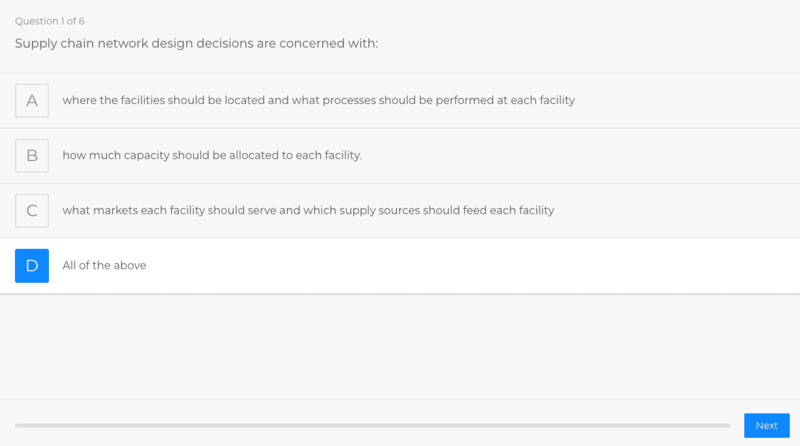 Secondly, it doesn't allow you to include advanced quiz elements like question banks, randomization etc. which makes Kajabi good for creating basic quizzes only. Apart from allowing you to add a comments area to your lessons, Kajabi also lets you create a community forum on the platform. Kajabi calls this particular feature 'Community' and it allows you to offer it as a standalone product as well as part of your membership site. Your members can access a community from their dashboard and they can start a new discussion or participate in an existing one from the community homepage without ever leaving your website. Plus, they automatically get notified when you, the instructor or another member participates in a discussion they're a part of. Setting up a new community is easy and by default, it has a clean, modern design which looks great. 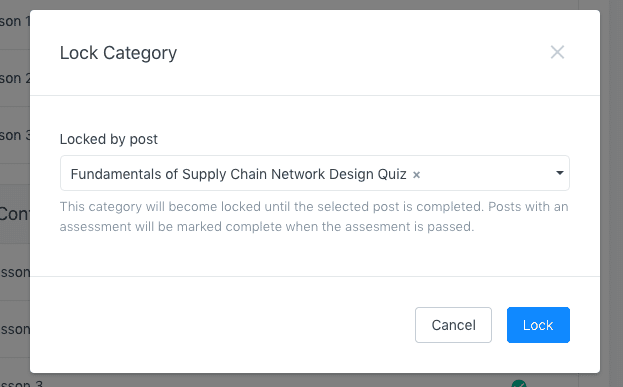 As an admin, you can create topics to keep discussions in your community organized or you can pin a post to move it to the top of the community feed. Overall, the community feature is a great addition to the Kajabi platform and whether you want to build just a support group for your online course or a community for your membership site, it will be really handy for you. Like most course platforms, Kajabi also offers the ability to drip your course content. Drip content allows you to release Categories within a course after a specific number of days after a student enrols in your course. So, instead of giving your Members an immediate access to all of your content, you can release it according to the schedule. Another cool feature that Kajabi offers is content locking. With content locking, you can create a linear learning path for your students. So, you can require the students to complete a particular lesson before they can get access to the next module. Now, this lesson can also be an Assessment in which case the students will need to pass the quiz successfully before they can access the next modules. Dripping and locking are two really handy features that Kajabi offers and they can go a long way in ensuring student compliance and boosting engagement. If there is one feature in Kajabi that I get really excited about, it is Automations. Automations allow you to create When/Then rules which allow you to take different actions based on certain triggers. For example, if a student has been inactive for several days, you can create an automation to send them a reminder about the course and bring them back to your platform. Similarly, you can send freebies or offer another course for free to those who have completed a particular lesson in order to reward them and motivate them to take further action. Another example would be sending additional learning material to those students who couldn't pass a particular Assessment. These are just some use cases off the top of my head but you can use Kajabi Automations in many different ways in order to "gamify" your membership site and boost member engagement. Plus, I am not aware of any other hosted online course platform apart from Kajabi that offers this sort of automation capability. Overall, Kajabi does an excellent job as far as course creation is concerned. It has all the essential features one needs to create and deliver an awesome online course or membership site. It allows you to host your videos, add quizzes and surveys, create a community forum, drip your content, create a learning path and deliver your content professionally through a well-designed course player. It also has some advanced features like Automations which can be really effective in boosting your member engagement. Kajabi, at this point doesn't have inbuilt capability to create certificates. As discussed previously, Kajabi doesn't support advanced quizzing capabilities like questions banks, randomization, timed quizzes etc. While Kajabi is mobile responsive and allows your students to access course content in a browser on mobile, it doesn't offer a mobile app. That being said, Kajabi has a lot to offer for a hosted course platform when it comes to course creation and student engagement and it is certainly a great option for creating and delivering your online courses. Having a great website is critical for the success of your online course business and with Kajabi, you can build a website for your brand on the platform itself. So, let's see how Kajabi performs when it comes to site design and customization and whether you should use it for building the front-end of your website. Kajabi is a hosted solution which means that they provide you the infrastructure to build your website. You don't need to buy a separate hosting package or upgrade your hosting as your site traffic increases. It's all taken care of by Kajabi in the background. Your site will by default point to a Kajabi domain (yourdomainname.mykajabi.com) but you can also use your own custom domain (yourdomain.com) if you want. Kajabi also provides a free SSL certificate for your website which is enabled by default on all your pages and you don't need to go through a setup process. Their team will take care of any maintenance or updates on the platform, so you don't need to worry any of these techy things on an ongoing basis. When it comes to actually building your website, Kajabi has pre-designed themes that you can install with a single click. The themes dictate the overall look and style of your website and help you easily and quickly build a good looking website. Kajabi is actually taking a different approach with their site themes now. They have archived 10 of the 11 themes and are now focusing just on the Premier Theme. They have developed the Premier Theme into a super flexible framework and they use it to build all the new site themes. These themes are now called Layout Presets and currently there are 6 different Presets available in their library, all of which are built on the "Premier Framework". All the Layout Presets have a clean and modern design and they do look great. Once you install a Preset, you can further customize it using the page builder to give your website the look and feel you want. You can still use any of the 10 themes that have now been moved to the Legacy Themes archive if you want. However, since Kajabi won't be working to improve them anymore, I will recommend that you use only the Premier Theme for your website. While you can build all types of websites using the Premier Framework and the existing Presets, I would like to see Kajabi create and add more Presets to it's theme library. The currently available Presets are somewhat similar to each other in terms of design and adding more Presets will help do away with this limitation. Finally, Kajabi also provides you the option to import and use custom themes. So, if you're a power user, you can hire a developer to build a completely custom theme for your website. In order to further customize your website, you'll need to use Kajabi's Page Builder. The page builder is a visual, drag-and-drop editor where you can make changes on the front end of your website. The page builder interface is clean and it is very well designed from an user experience point of view. All the existing sections on your page are listed on the left and on the right, you'll see a live preview of your page. Using the Settings option on the left, you can define the page level settings for colors, fonts, font sizes etc. You can add new sections to your page by clicking on the Add Section link in the left panel where you can select from a list of 25+ pre-built sections available in the page builder. There are sections for various purposes. 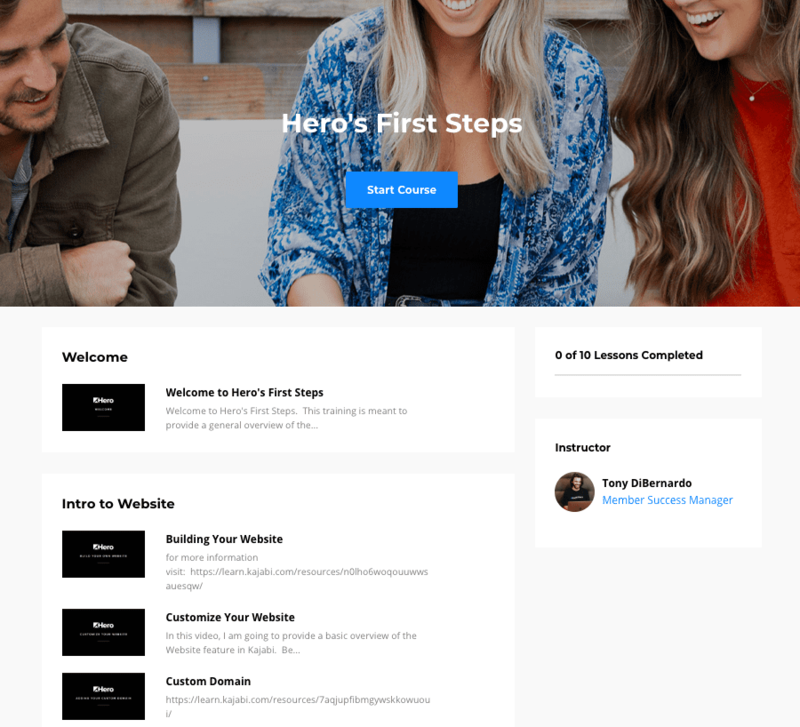 For example, you can create a hero section with a background image or a video, add pricing tables, list your courses, show your blog posts, add a countdown timer etc. Modifying and updating existing elements on your page is super easy as well. You can just click on the element in the area on the right and an editing area will open on the left where you can see various options to modify the text, the colors and other stuff. If you want to remove certain sections or elements or change their order, you can do that as well and when you make any of these changes, you will see them in the real time on the right. Most importantly, Kajabi's page builder is fully mobile responsive. So, all the pages you create will be mobile responsive by default. If you wish to preview the mobile version of your page, you can do that by clicking on the desktop icon on the right bottom. 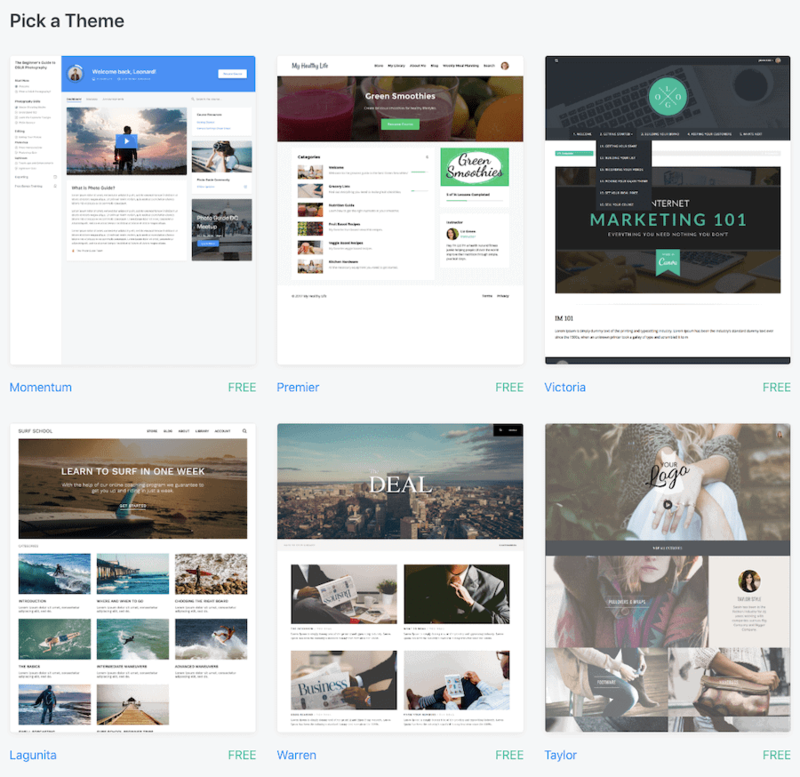 What I like about Kajabi's page builder is that it is pretty flexible and provides you a lot of editing options but at the same time, is easy to use. You can completely customize your existing pages or build new ones from scratch and you can do all this without requiring to write a single line of code. 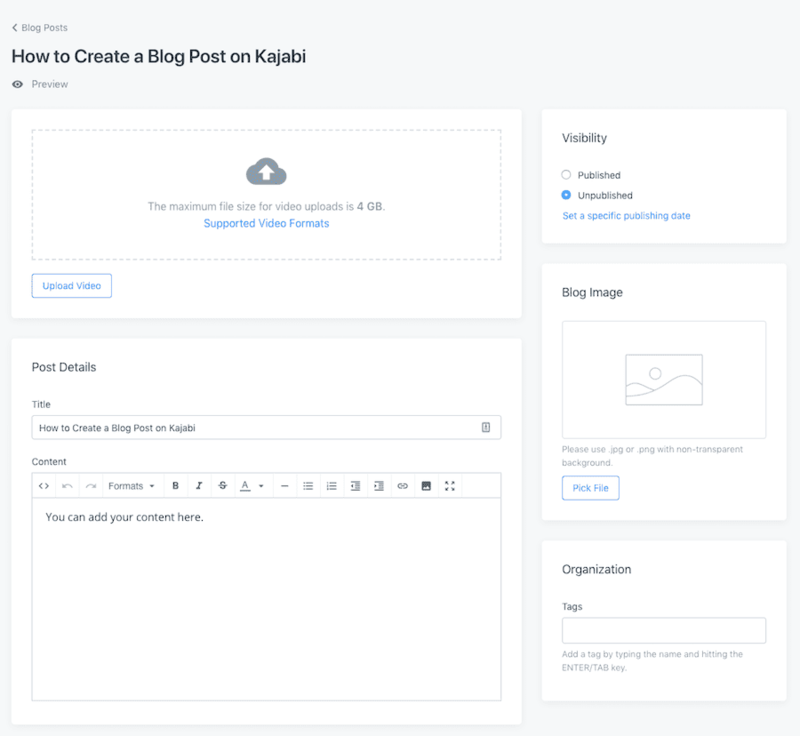 Finally, Kajabi allows you to add a blog to your website as well. You can easily create new blog posts and add content to them using the text editor. Apart from adding content to your blog posts, you can define SEO settings for them, group them into different categories, add an opt-in form or you can show different elements in the sidebar. Kajabi automatically creates a blog index page for your posts which you can further customize using the page builder. While you can create a fully-functional blog on Kajabi, you should keep in mind that it’s not as powerful as a dedicated blog system like WordPress. It doesn't have as much flexibility in terms of design options, SEO settings or even content editing. ​But then, most of the course creators don't need all that functionality and by keeping your blog on Kajabi, you can have everything on one single platform which makes things much easier to manage. Overall, Kajabi has a lot to offer when it comes to website building. What I like the most is that you don't need to worry about selecting a hosting provider or taking care of updates and maintenance, and you can literally scratch the term "plugin" from your dictionary. Creating a website in Kajabi is as simple as selecting a website theme from their library and tweaking the look and feel further using the drag-and-drop page builder. There are a couple of areas where Kajabi doesn't perform as good a job, like there are a limited number of themes (Layout Presets) available in their library or lack of flexibility in the blogging functionality. That being said, Kajabi offers you all the tools you need in order to quickly and easily create a website for your brand and you can do everything yourself even if you're not a tech-wizard. When it comes to sales and marketing, Kajabi takes a very different approach from all it's competitors. While other course platforms would offer just the essential features required to process payments and sell your courses, Kajabi offers a suite of tools to create your entire marketing funnel on the platform. So, let's discuss what Kajabi has to offer and how it performs when it comes to sales and marketing capabilities. In order to sell online courses, you need to create what Kajabi calls an Offer. Offers are pretty easy to create and they give you a lot of flexibility when it comes to pricing your Products. Firstly, you can make your course free, a one-time payment, a subscription or a payment plan. 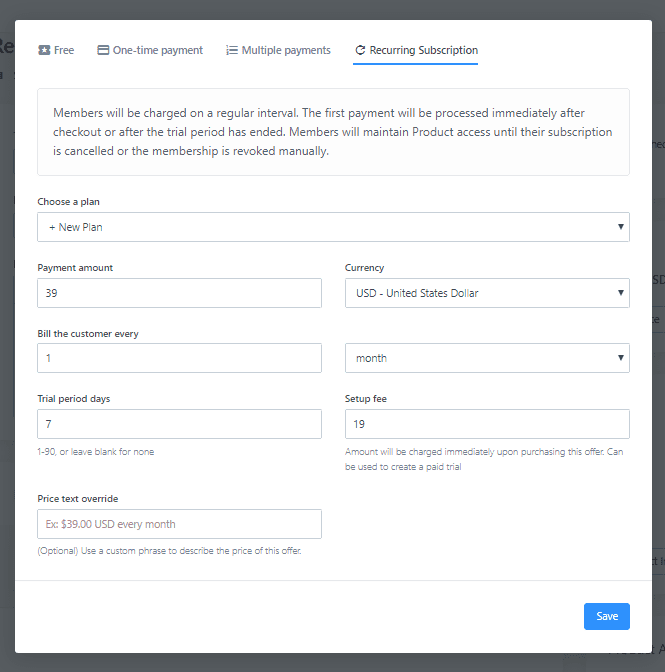 If you want to create a recurring subscription, you can charge your customers weekly, monthly or even yearly. Plus, you can also charge an initial set up fee or create a trial period for your subscription as well. Secondly, Kajabi gives you the flexibility to price your Offer in any major currency including USD, GBP, CAD, AUD etc. Thirdly, you can select the Products that you want your customers to have access to when they purchase an Offer. You can either select a single Product or you can select multiple Products in the same Offer. 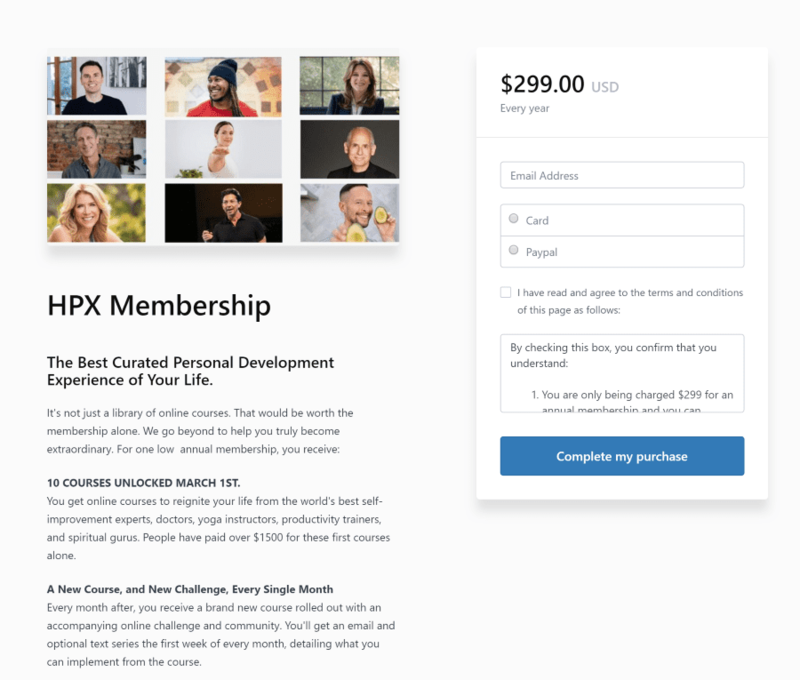 This feature is quite handy if you want to bundle your courses together or create different access levels for your membership site. Finally, you can also restrict a member's access to your courses to a certain number of days (e.g. 1 year) after which his access will expire. I simply love how the Offers and the whole pricing thing works in Kajabi. It comes with a lot of options so that you can price your courses in any way you want. 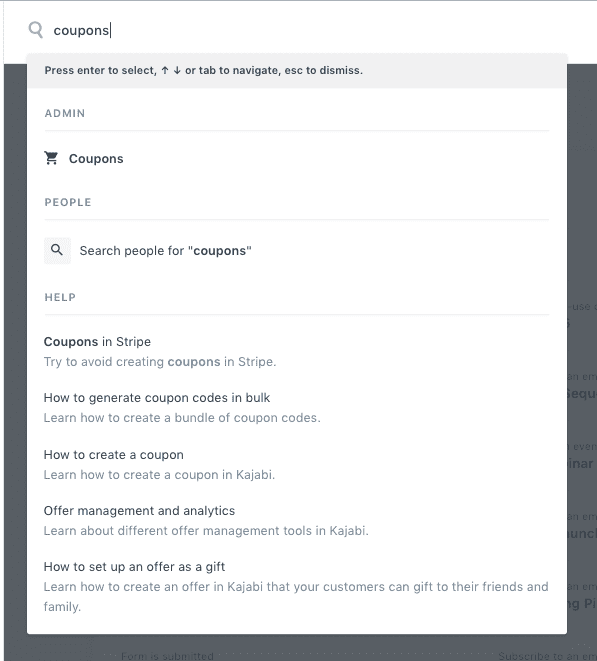 Another important feature for selling your courses in Kajabi is the ability to create high-converting checkout pages. When you create an Offer, Kajabi automatically creates a checkout page which is by default very well designed from a conversion point of view. Most importantly, it's a 1-step checkout, so your users can complete their purchase without creating an account first. You can further customize the checkout page using the page builder. So, you can add your logo, an intro video, offer details, testimonials, a money back guarantee badge etc. to your checkout page. When it comes to payment options for your customers, you can enable both Stripe and PayPal and they can choose their preferred payment option on the checkout page itself. In addition, Kajabi gives you full control over what information to collect from your customers on the checkout page. For example, you can require a customer to submit his/her address which can be handy if you want to ship a physical product. Kajabi also offers two powerful conversion tools. So, you can add an order bump to your checkout page or, you can offer a 1-click upsell to your users on the thank you page, which will help increase the average value of your customer orders. 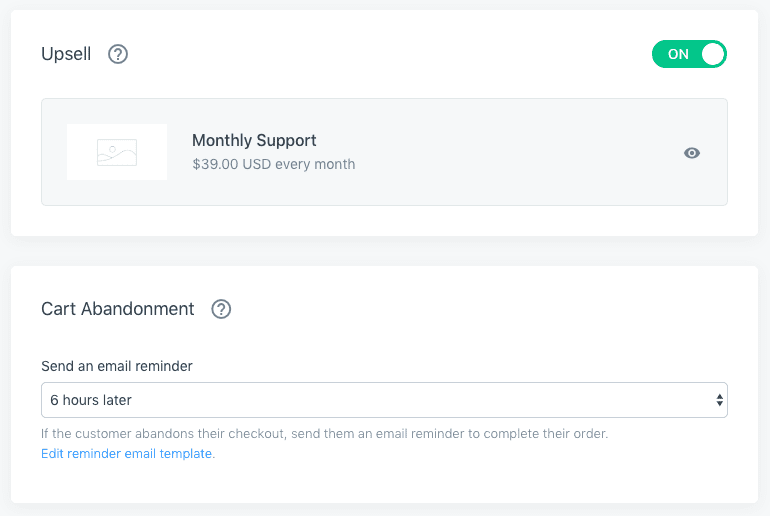 Finally, you can track abandoned carts and send a follow up email to those who don't complete their purchase which will help boost your checkout page conversions. The only area where I think Kajabi currently lacks is the ability to handle EU VAT and other taxes during the checkout process. It doesn't automatically add EU VAT on top of your course price. So, you'll either need to use an external tax management solution like Quaderno or use an external shopping cart solution like ThriveCart that lets you handle sales taxes as well. That being said, Kajabi offers all the features one needs to create a high converting checkout page for their online courses. In fact, no major online course platform at this point offers you so much capability for creating checkout pages. Kajabi doesn't just provide you the capability to process payments and sell your courses, but it also allows you to build different types of marketing funnels. Kajabi has what it calls the Sales Pipeline Builder which is simply a game changer as it's the easiest and the fastest way of building funnels for those who have little or no marketing knowledge. ​Before we get into the details, let me tell you that this is my favorite feature on the platform. ​When you create a sales pipeline (funnel), Kajabi first asks you to select from a set of pre-built sales pipeline blueprints. So, if you want to offer a lead magnet to build your email list, you can select the Freebie blueprint. Similarly, if you want to market your online courses through webinars, you can select the Zoom Webinar OVO. You can also use the "Blank" blueprint if you want to build a funnel from scratch. As soon as you select a blueprint, Kajabi will put together all of the pieces you need for that funnel, including landing pages, forms, email campaigns, your offer etc. 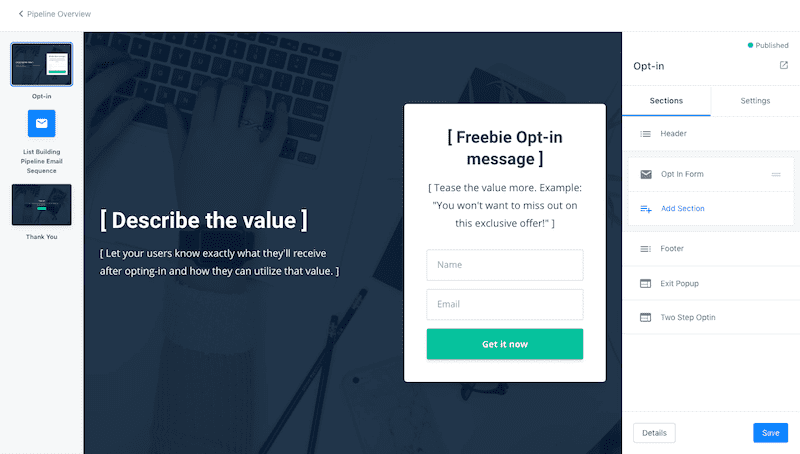 For example, if you select the Freebie blueprint, Kajabi will automatically create the opt-in page, the thank you page as well as the email sequence to deliver your lead magnet. This makes it really easy to build funnels for those who might not have as much time or knowledge to build them from scratch. So, you just need to go in and edit the placeholder content Kajabi created for your landing pages and emails which is pretty easy to do as well. 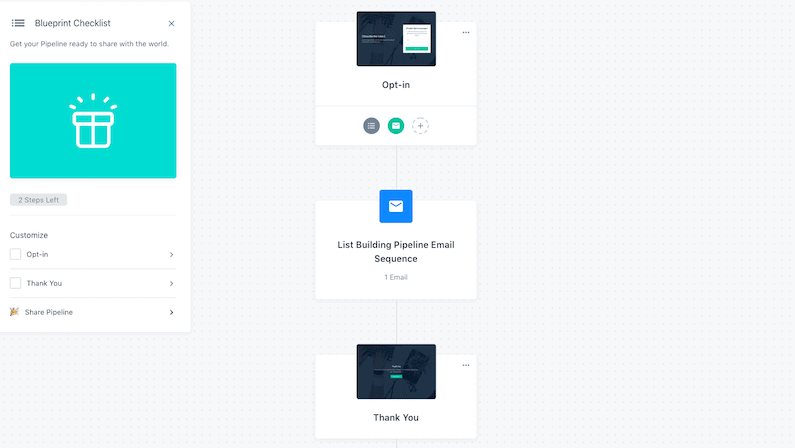 Not only you can completely customize all the elements within your pipeline but you can also add new pages and email sequences to your funnel. What I like the most about the Sales Pipeline Builder though is that you can build your entire funnel without actually leaving the builder. So, you don't need to move to different areas within your Kajabi dashboard rather you can build an entire funnel from within the builder itself. Apart from building entire funnels in Kajabi, you can also build standalone landing pages for lead generation, selling your courses etc. You can select from a library of 20+ landing page templates. The templates are all well designed and you can further cutomize them using the page builder. Overall, Kajabi does an excellent when it comes to building marketing funnels and at this point, no other online course platform offers you this sort of funnel building capability. When it comes to email marketing, Kajabi allows you to do much more than just sending broadcast emails to your subscribers and members. First and foremost, you can create automated email sequences which are sent based on user actions. 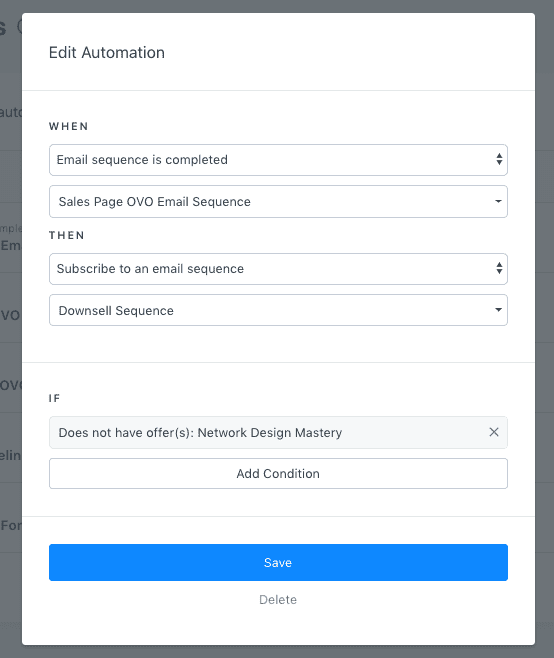 So, you can send an automated email campaign to nurture your new subscribers or you can create one to launch you course. You can add as many emails to an email sequence as you want and you can easily define the day on which you want the email to be sent. 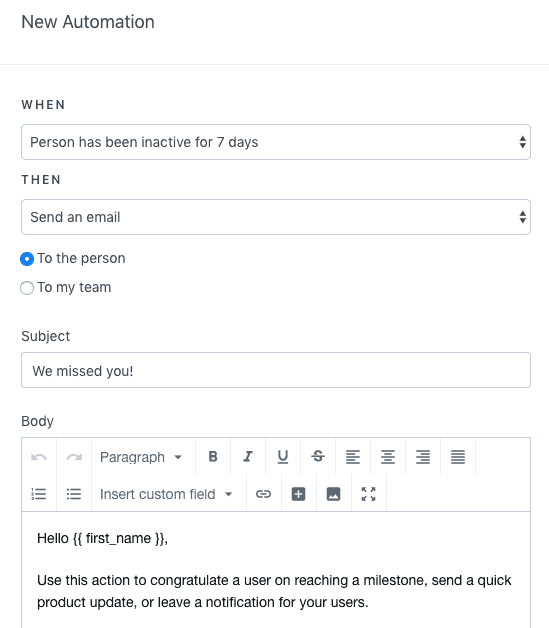 Secondly, you can tag your users and create segments which doesn't just make managing your subscribers easier but also help create more effective email marketing campaigns. Finally and most importantly, Kajabi Automations make it possible for you to completely automate your email marketing. We discussed Automations previously in the context of engaging your members but it can be even more effective for your marketing. With Automations, you can add/remove tags, move users between different email sequences, send targeted campaigns based on their actions and do much more. 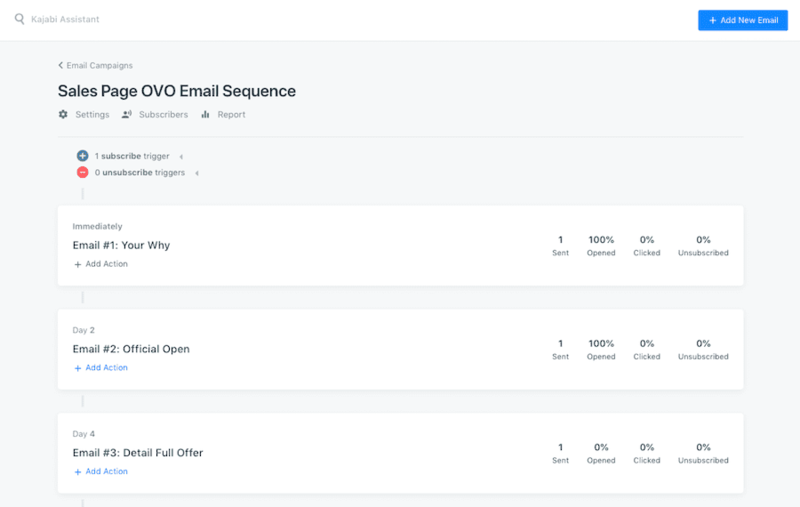 For example, you can remove your subscribers from a sales sequence as soon as they purchase your offer. Or, you can add them to another email sequence if they don't purchase your offer. Similarly, you can send a single use discount coupon to your new subscribers in order to encourage them to sign up for your offer. Kajabi does lack some essential email marketing features. For example, it doesn't allow you to send an email a certain number of hours after the previous email or specify the days on which you want your email campaign to go out. Their team is working to improve some of these limitations but to be honest, Kajabi can't compete with tools like Drip and Active Campaign simply based on marketing automation capabilities. However, despite it's limitations, doing email automation within Kajabi opens endless possibilities for your marketing. There are a lot of things that won't be possible (e.g. sending a one-off coupon automatically) or easy to do if you were to use an email automation tool with your course platform. If you want to let affiliates promote your online courses in exchange for a commission, you can do that with Kajabi. Kajabi has all the essential features you need in order to create and manage an affiliate program. So, you can add affiliates, select which courses you want them to promote, create affiliate share links, set a custom commission % for your courses, send announcements to affiliates etc. Plus you can track the performance of your affiliates in the admin dashboard and export their payout reports in order to send them payments. Kajabi by default creates a registration and a login page for your affiliates. They also get access to a private affiliate dashboard where they can find their affiliates links and track statistics for their promotions. While Kajabi allows you to create a fully-functional affiliate program, there are a couple of things that it can improve. For example, there is no way to set a custom cookie tracking period for your affiliate links. The default is 30 days and you can't change it. Also, you can't upload assets/swipe files for your affiliates to use in their promotions. While Kajabi offers powerful email marketing tools on the platform itself, you can also integrate it with other popular email marketing solutions. Currently, it has a direct integration with five email marketing tools - Aweber, MailChimp, Drip, ConvertKit and Active Campaign. In addition, Kajabi integrates with Zapier which allows you to create an indirect integration with literally any popular marketing tool. For example, you can integrate via Zapier with an email automation platform like Infusionsoft with which Kajabi doesn't have a direct integration. Similarly, you can integrate via Zapier with a tool like Google Slides and issue certificates to your students. Finally, Kajabi integrates with popular analytics tools like Google Analytics and Segment so that you can track site visits and other user actions. Kajabi really shines as an all-in-one platform when it comes to sales and marketing. It offers you to everything you need in order to market and sell your online courses. You can easily create high converting checkout pages and price your course in any way you want. You can even add order bumps and upsells to your offers which will help you maximize your revenue. However, the feature which really takes Kajabi's sales and marketing capabilities to the next level is the Sales Pipeline Builder! The Pipeline Builder allows you to easily create different types of marketing funnels without requiring to use marketing tools like ClickFunnels or Leadpages. Plus you can manage your email list and automate your email marketing within the platform itself which means you don't need to use an external email marketing solution. Believe me, there is no online course solution in the market that offers even half as compared to Kajabi as far as sales and marketing is concerned and this is one area where Kajabi has a massive lead over other online course platforms. Kajabi stands out among all the online course platforms with their excellent support. Their customer support has always been excellent and they are one of the few course platforms to offer 24/7 Live Chat Support. So, if you're stuck or if you need any help with your Kajabi site, you can simply reach out to their support via chat and they will help you out. Kajabi also has a lot of tutorials which show you how to do different things on the platform. You can simply search what you need help with in the Kajabi Assistant bar at the top and it will show you the relevant tutorials on the topic. 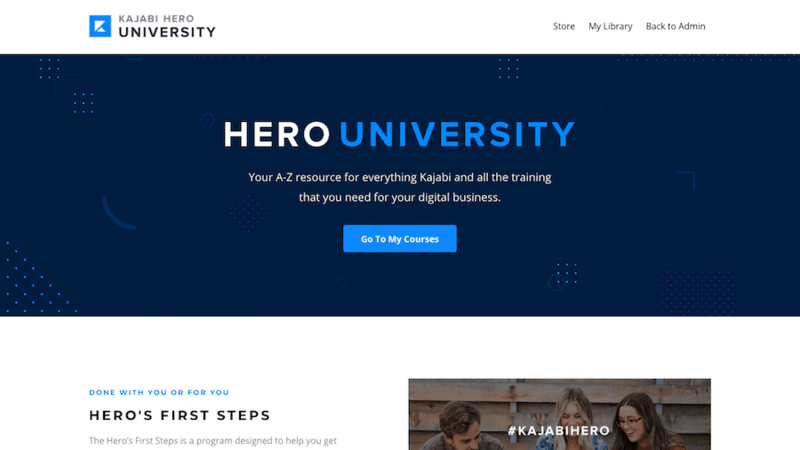 Besides that, you also get access to the Hero University where it provides a lot of free training on various topics like creating your online course, starting with marketing etc. 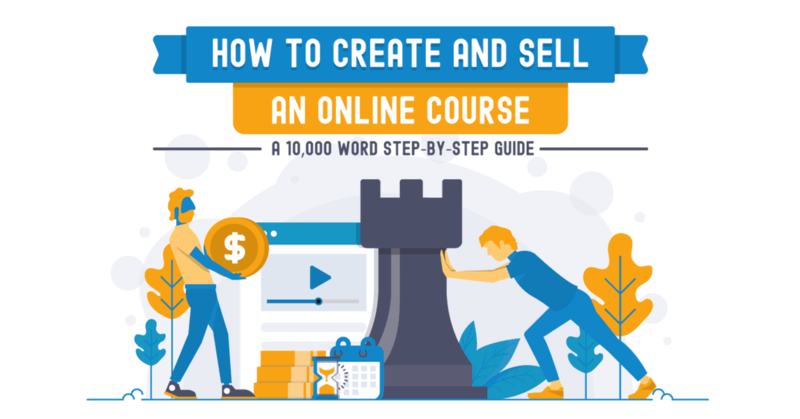 If you're just getting started with online courses, they have a free 28-day challenge where they show you how to make your first $1,000 online. Finally, Kajabi also has a really engaged user community on Facebook. Their official FB group has 12k+ members where you can ask questions, get help from fellow course creators and network with them. I'm sure you will be eager to know how much does Kajabi cost. So, let's discuss the pricing. Kajabi offers 3 pricing plans all of which offer you unlimited bandwidth, unlimited video hosting via Wistia and 0% transaction fees. Kajabi's pricing starts at $149/month and the lowest tier is called the Basic Plan. The Basic Plan allows you to create upto 3 Products and 3 Sales Pipelines. The next tier is called the Growth Plan and costs $199/month. The Growth Plan allows you to create more number of products and pipelines as well as have more members on your site. You also get access to two features which aren't available on the Basic Plan - Affiliate Marketing and Automations. If you need to increase your limits even further, you'll need to upgrade to the Pro Plan that costs $399/month. However, most users will be fine with either with the Basic Plan or the Growth Plan. If you want to learn further details about Kajabi pricing, you can check it here. Kajabi doesn't offer a free plan but it does offer a free trial on all plans so that you can try the software. Normally, Kajabi offers a 14-day free trial but you can get a 28-day free trial as part of their Kajabi Hero Challenge. Kajabi's starting price is steep and so, it probably won't work for you if you're here to just test the waters or if you're on a tight budget. That being said, Kajabi is easily the most feature-rich online course platform in the market and if you consider everything that it has to offer, you'll find it to be reasonably priced. He switched to Kajabi's Basic Plan and now, he has everything under one roof on Kajabi which makes things much simpler to manage, the student experience has improved significantly and he is actually paying less than before. So, if you build your entire online course business or a significant part of it on the platform, Kajabi will work great for you and you can easily justify the cost. That doesn't mean that you shouldn't use Kajabi just for hosting and delivering your online courses. It's the best hosted platform out there in terms of course delivery and student engagement but keep in mind that you'll be paying a premium price in this case. Before we conclude this review, let's take a look at some of the Kajabi alternatives and how they compare to it. Teachable is one of the market leaders in the online course platform space and it’s a very popular tool in its own right. It offers you all the features you need to create an engaging online course. So, you can add multiple content types including videos and quizzes to your course, drip your course content, create certificates natively and deliver content through a very well designed course player. While Teachable has all the essential course creation features, it doesn't give you as many options as Kajabi for course player design and it also doesn't have the capability to build a community forum natively. Teachable's site building capabilities are pretty limited though. It doesn't have any site themes and the page builder offers limited editing options which makes Teachable a not so good platform for building the front-end of your website. When it comes to sales and marketing, Teachable offers some pretty handy features like coupons, a highly optimized 1-step checkout process, 1-click upsells, EU VAT handling, affiliate marketing etc. But unlike Kajabi, it doesn't have ability to build sales funnels and landing pages or automate your email marketing. 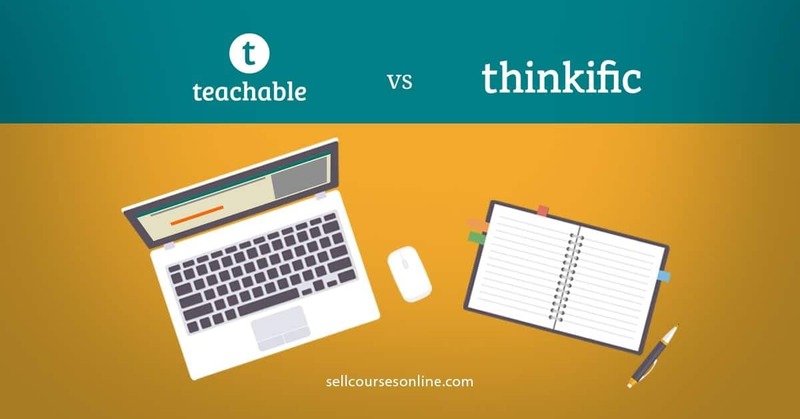 So, if your main goal is to just create and deliver online courses, you can definitely try out Teachable. 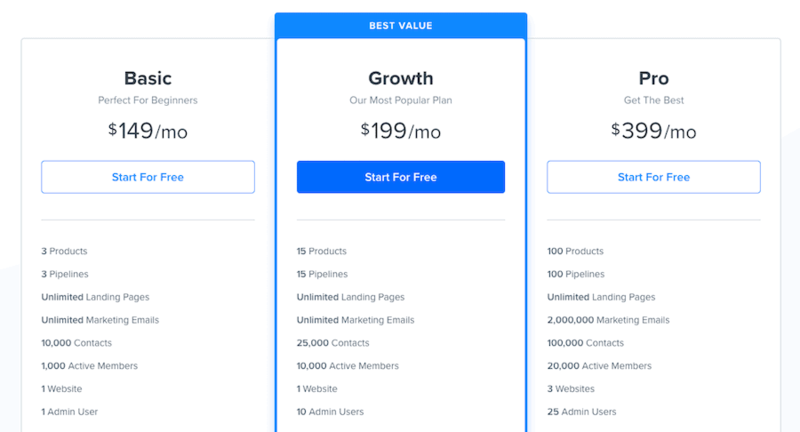 But if you're looking for a platform that lets you build your entire website as well as marketing funnels, Teachable won't work for you and in this case, Kajabi is definitely a better option. 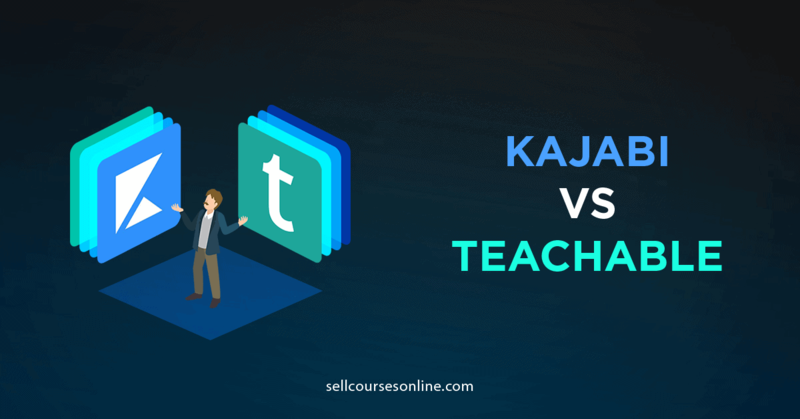 You can also read this in-depth Kajabi vs Teachable comparison guide if you want to explore the two platforms further. Thinkific is another popular online course platform that allows you to create and sell online courses under your own brand. The platform allows you to host your content including videos and offers other essential features like content dripping and content locking. It even allows you to create advanced quizzes and issue certificates to your students. Like Teachable, Thinkific also offers you just one course player theme and it doesn't allow you to create a community forum on the platform. Thinkific also does a great job at site building. It offers a bunch of themes and a powerful site builder that lets you build a good-looking website and create sales pages easily. Though it doesn't allow you to create a blog on the platform. One area where Thinkific really lacks at this point is sales and marketing. Not just that it doesn't have sales funnel building and email automation capabilities, the checkout process is a 2-step one and it doesn't good from a conversion point of view. So, like Teachable, if you're looking for a standalone course platform to build a course website and deliver your courses, Thinkific will work well for you. But if you want to market and sell your courses on the platform as well, Thinkific won't be a good option in that case. ClickFunnels is the most popular sales funnel builder in the market that also includes membership site and marketing automation capabilities. The sales funnel builder is really powerful with dozens of pre-built blueprints and sales funnel templates. You can also create high converting checkout pages and add upsells and order bumps to your funnel. However, the ClickFunnels membership site lacks many essentials features and is really basic. The course player is poorly designed, the user experience is really bad and it doesn't allow you to host your video content, create quizzes, track user progress or even facilitate user discussions. Plus ClickFunnels doesn't have the ability to build a regular website or create a blog and you'll need to use a platform like WordPress for that. So, if your goal is to just market and sell your online courses, you can definitely try out ClickFunnels. But if you're looking for a platform that doesn't just take care of the marketing aspect but allows you to create and deliver engaging online courses as well, Kajabi is a much better option than ClickFunnels. Kajabi is definitely one of the best options out there for creating online courses and membership sites. 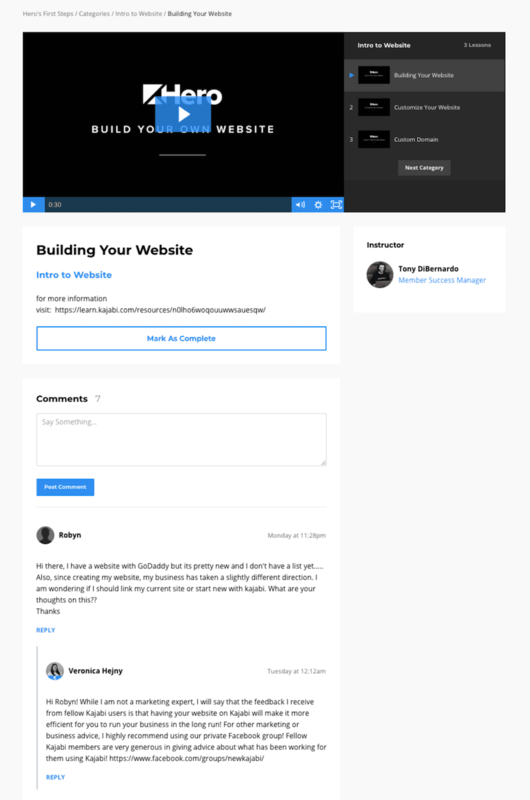 It offers unlimited video hosting via Wistia, 10+ well-designed course player themes, ability to create a community forum, add quizzes and surveys, drip your content, create a learning path and much more. Kajabi actually allows you to do more than just hosting and selling online courses. It also allows you to create a website, run a blog, build marketing funnels as well as automate email marketing which means you can run your entire online course business on the platform itself, without requiring to learn to use twenty different software. Some of it's marketing features like Sales Pipeline Builder and Automations are game changers and no other course platform offers anything similar at this point. When it comes to pricing, Kajabi comes with a price tag which is higher than it's competitors. But if you consider everything that the platform offers, you'll find it to be reasonably priced and you'll actually save money when you move your entire business or a significant part of it to the platform. If you're just getting started, you will find the starting price a little steep and you should consider signing up for their free 28-day Hero Challenge where they teach you how to make your first $1k in the next 28 days. ​If you want to give it a try, you can start a free trial of the platform by clicking on the button below. I hope you find this Kajabi review useful. If you have any questions or feedback, please leave a comment below, so I can get back to it as soon as possible! Update #1: Kajabi has added a new feature called Community that allows you to create a community forum within the platform itself. You can either offer a Community as part of your membership site or you can sell it individually as well. Disclaimer: I am using affiliate links within this post, so if you do want to go purchase either of these two solutions, clicking a link will pass me off a little commission (without costing you anything extra)!